Wishing all our customers a successful 2016! 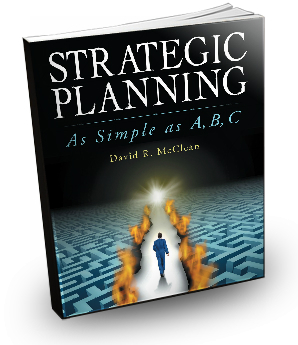 Dave McClean’s new book, Strategic Planning, As Simple as A, B, C is here! With a list of endorsements by great leaders such as Michael Diamond and Kathy Gainey, Strategic Planning is a book that will help you see just how simple it is for you to design that business plan that you’ve been putting off! Click Here to read an excerpt of Strategic Planning, As Simple as A, B, C, and then order your copy today! Prefer an e-book instead? Click Here!